One of my new favorite vids, awesome!! Had our first few rides on wet dirt this weekend, stoked on the tacky tacky goodness. Awesome video. I'm really enjoying Remi's style. He pumps everything so aggressively and is so smooth. How was that filmed when he was following the bike down the trail ? a freaking amazing one. I'd be one happy panda if that was my local trail. Half Nelson in Squamish for the last half. Singletrack, fall dirt conditions and Bon Iver...does it get any better? One rad edit! 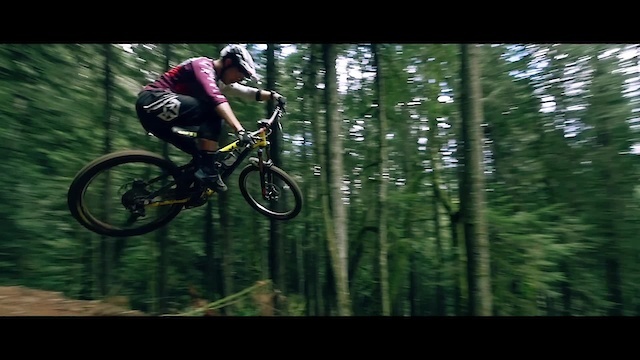 Beautiful bike and a skilled rider, what more do you want from a video! Wow! Straight killed the trail, video and edit!